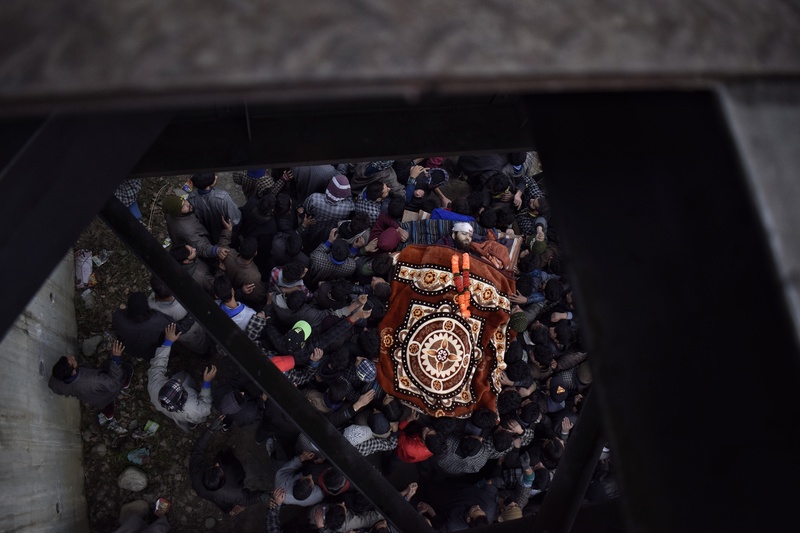 November 2018 was a month of funerals in the disputed region of Kashmir. 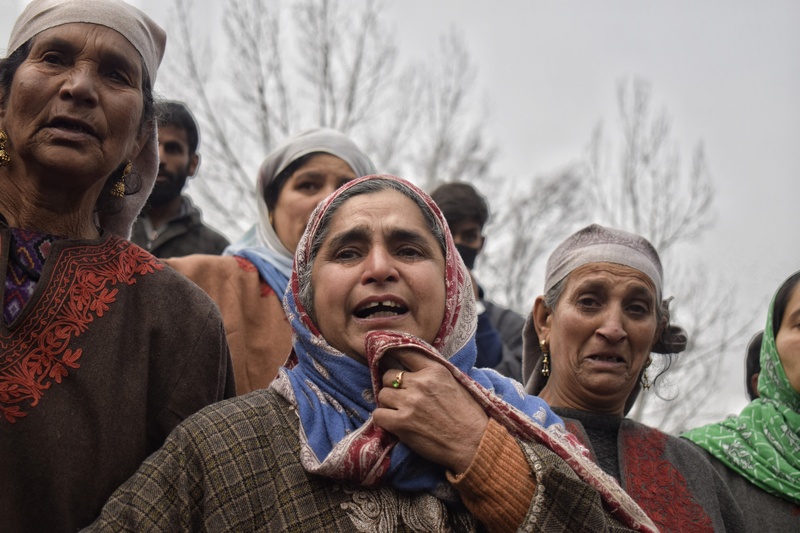 Every day in Kashmir is a day of mourning for the locals, as it brings news of more rebels and unarmed civilians killed somewhere in the region. With the killing of two rebels in an encounter in South Kashmir on November 29, the death toll in violence-related incidents has climbed to 48 in November. According to official data, 36 were rebels, eight civilians, three Army men and a paramilitary Central Reserve Police Force man. More than 10 rebel commanders were killed in the last 7 days of the month in the disputed region, including Lashkar-e-Taiba’s top commander Naveed Jatt, Azad Malik, and Umar Ganie of Hizbul Mujahideen. The roots of the Kashmir conflict date back to 1947, to the partition of British India into the new states of India and Pakistan. Kashmir today stands divided between India and Pakistan, with a de facto border established between them known as the Line of Control. The two nations have fought three wars over Kashmir. The armed movement against Indian rule in Kashmir started around late 1988. Unofficial estimates suggest that since then more than 90,000 people have been killed in Kashmir. There have been charges of rapes, custodial killings, enforced disappearances, arson, and torture against the more half a million soldiers deployed in the region. Zafar Dar is a freelance photojournalist based in Kashmir. 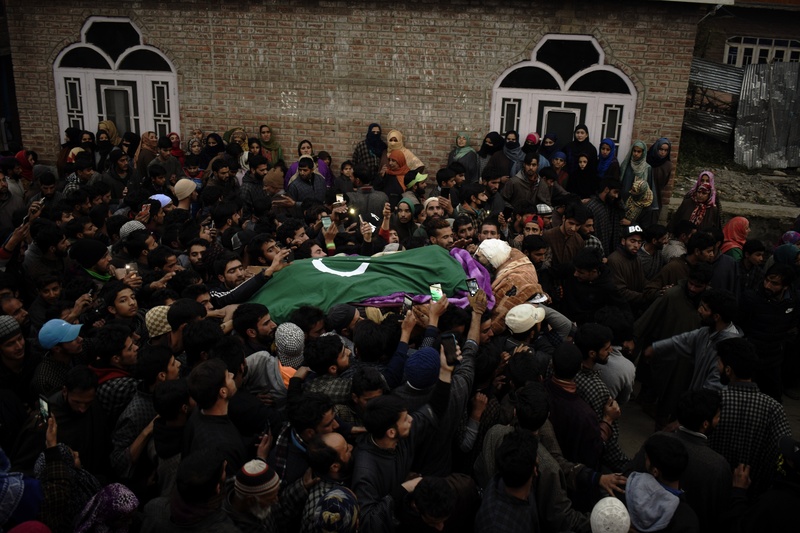 Kashmiri Villagers carry the body of rebel Adnan Ahmad Lone in his native village in Pulwama district. He was killed in a gunfight at Khrew village in South Kahmir along with his associate on November 29, 2018. 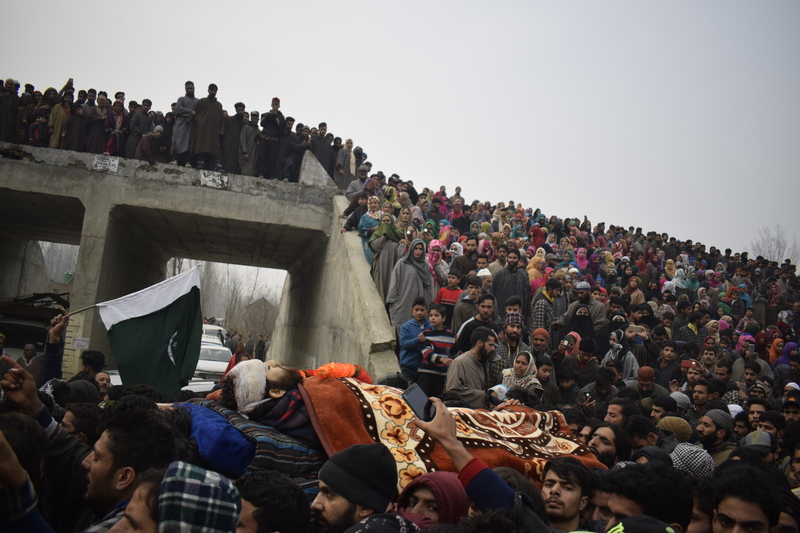 Thousands of people take part in the funeral of Lashkar-e-Taiba's top rebel commander, Aijaz Ahmad Makroo, in Khudwani Kulgam. He was killed in a gunfight along with his associate at Redwani Village on November 27, 2018. 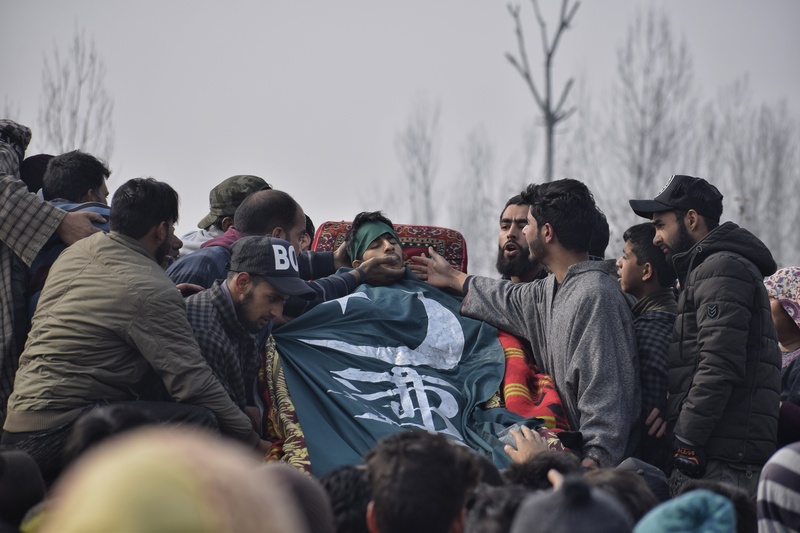 A boy wails near the body of Lashkar-e-Taiba's top rebel commander, Azad Malik, during the funeral at Arwani Village of Anantnag district on November 23. 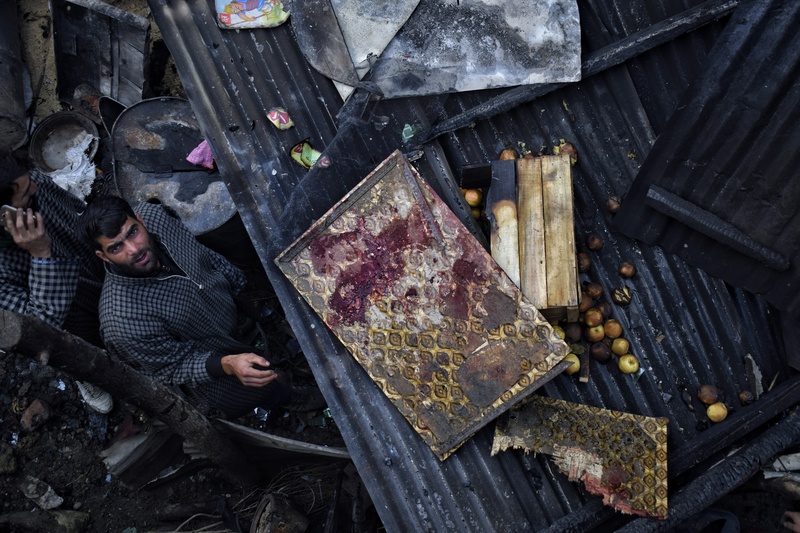 Kashmiri villagers visit the scene of a destroyed house during a gunfight at Redwani bala of Kulgam district. 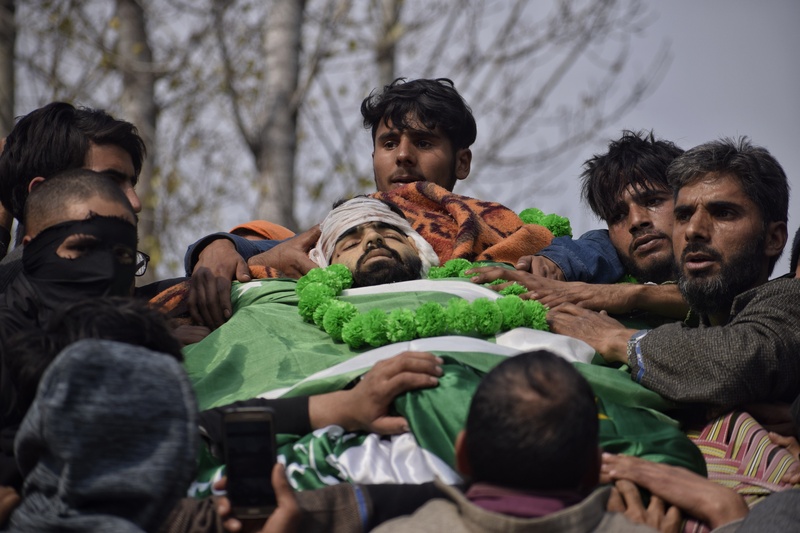 Wajeeb Ahmad a local rebel was killed in a gunfight along with his associate in Tiken village of Pulwama on November 10, 2018. Numaan Bhat, a 16 year old boy, was shot dead near gunfight site in the Kapran area of Shopain. 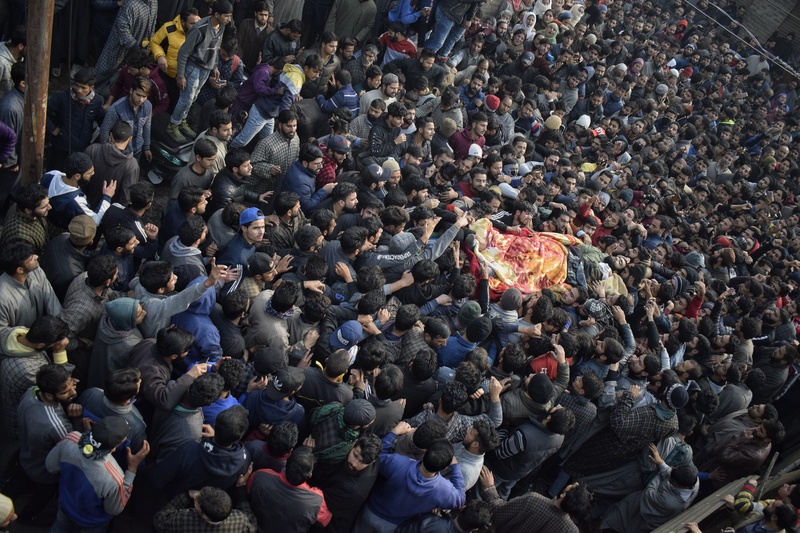 Kashmiri people carrying the body of rebel Basit Mir during his funeral procession at Khanabal, Anantnag, on November 23, 2018. Basit Mir, a local rebel from the main town of Anantnag was killed with his associates in Setkipora Village. 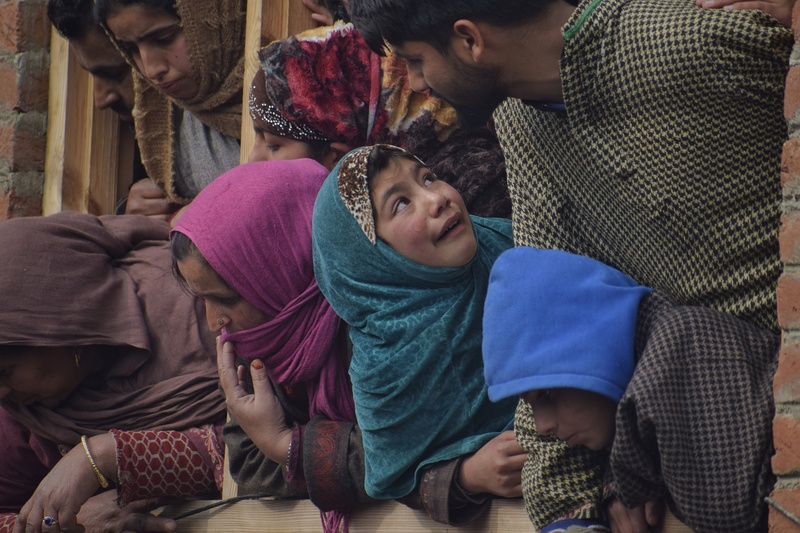 A girl wails during the funeral of a local rebel in South Kashmir’s Khudwani village. 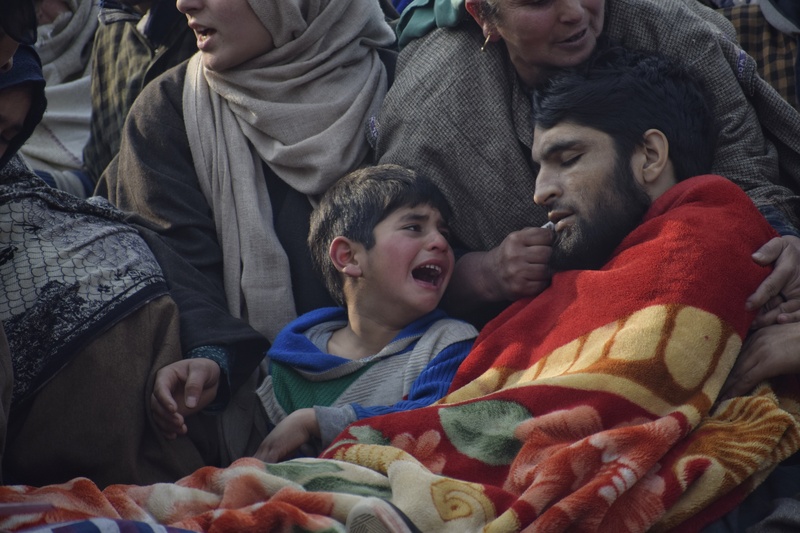 A relative of a Kashmiri rebel wails during his funeral in Pulwama village. 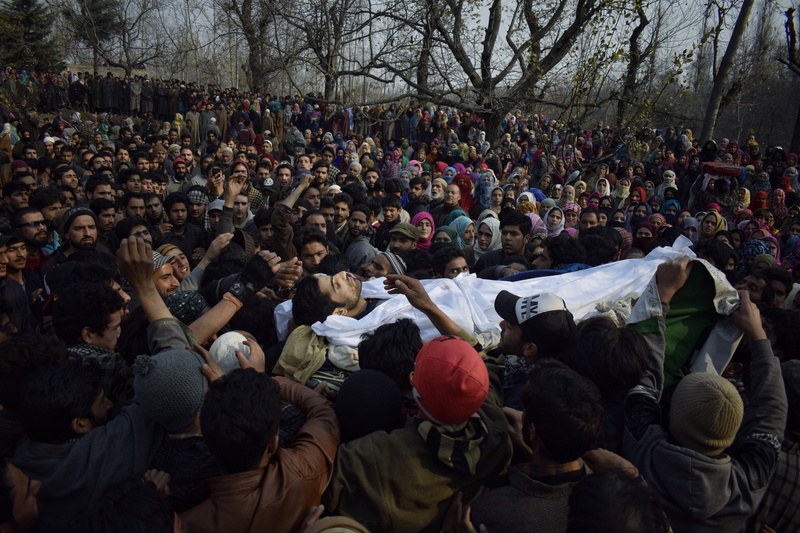 Kashmiri people take Umar Majeed’s body for burial in Kulgam district's Sooch village. He was killed in a gunfight at Kapran village along with his associates. 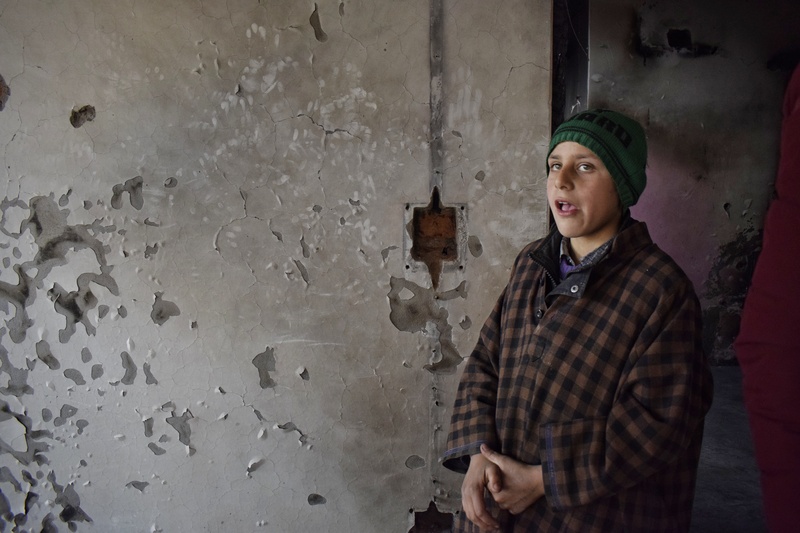 A Kashmiri boy looking toward the walls of a house that was destroyed in a gunfight at Nadigam village. Four rebels and a para commando of the Indian Army were killed. 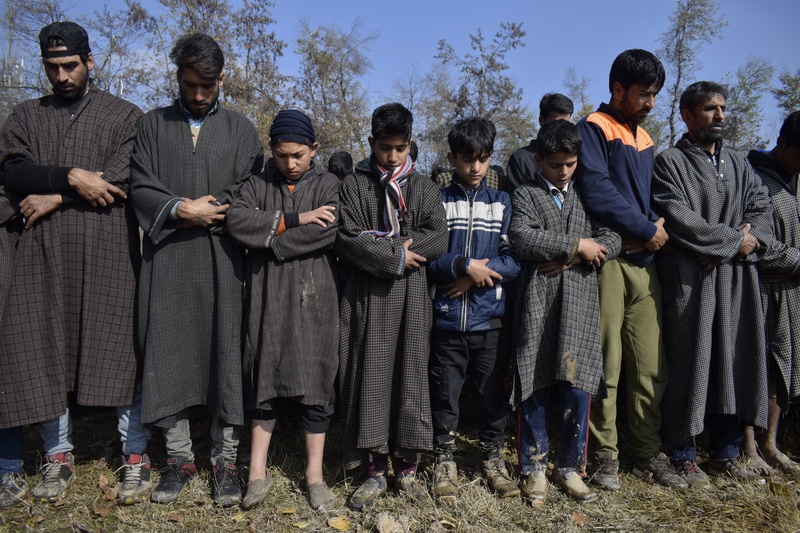 Kashmiri children attend the funeral of rebel Mir Idrees Sultan at Safanagri Village in Shopain. 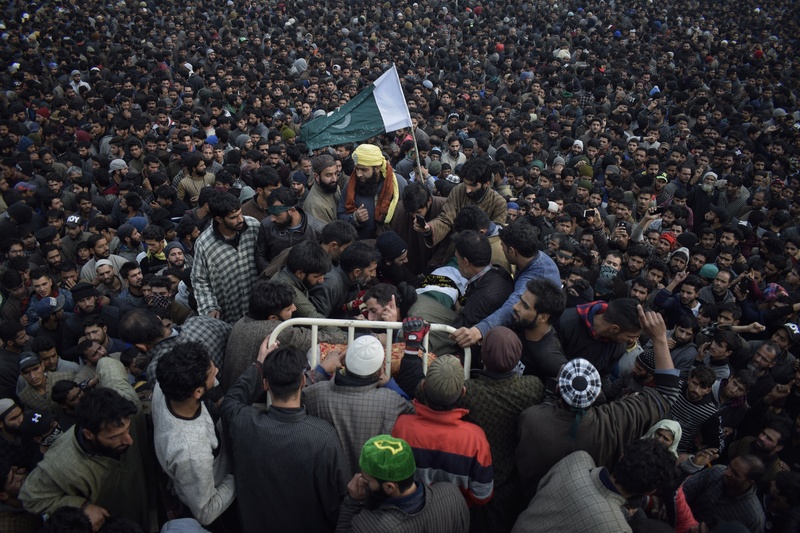 Kashmiri villagers have the last glimpse of rebel commander Adnan Ahmad Lone’s body. He was killed in a gunfight at Khrew village in Pulwama district, along with his associate Adil Ahmad on November 29, 2018. 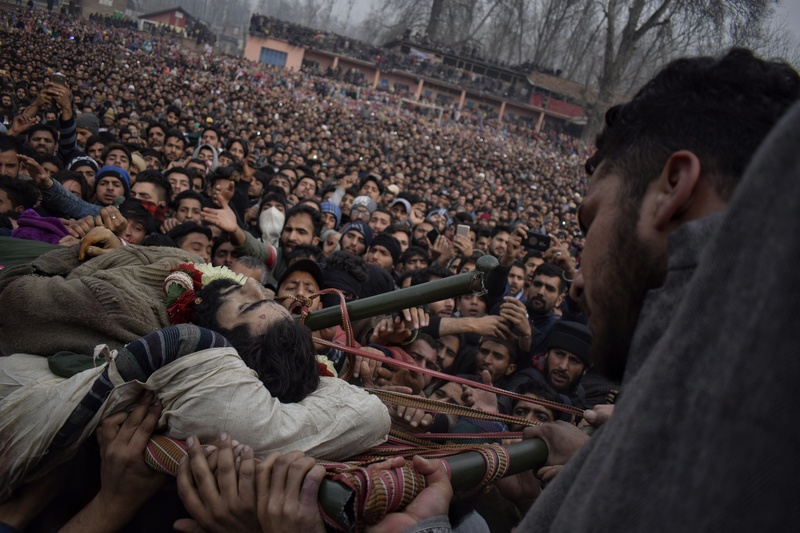 Thousands of people attend the funeral of a rebel in Khudwani village of South Kashmir’s Kulgam district. Deadly clashes in disputed Kashmir leave 21 dead and over 200 injured.